Delegates from Connecticut played a vital role in drawing up the US Constitution at the Constitution Convention of 1787, and thus Connecticut earned the name the Constitution State. The state capital of Connecticut is Hartford. Connecticut Travel and Tourist Information with links to official travel and tourism websites and state resources for visitors to Connecticut. Connecticut Municipalities, Connecticut Travel, Connecticut Travel Guides, New England, New Haven. Find out more about Connecticut before you travel there. Connecticut is the southernmost of the six New England states. The others are: Maine, Massachusetts, New Hampshire, Rhode Island, and Vermont. States neighbouring Connecticut are: New York, Massachusetts and Rhode Island. Midway between New York and Boston, Central Connecticut is an ideal place to slow down and take a look around. The official website for the State of Connecticut. Visit the Old State House or the home of Mark Twain. Northwest Connecticut's Litchfield Hills, Housatonic Valley and Waterbury Region have been making visitors feel welcome for hundreds of years. This true domain of New England at its best is within 100 miles of New York City and 150 miles of Boston. New haven is home to Yale University, although many town folk might wish it wasn't. Yale was modelled after Oxford, and the campus' buildings were artificially aged to give it the 'been there, seen it' look. Popular attractions include Haddam's Gillette State Park; Madison's Hammonassett Beach State Park; Dinosaur State Park, in Rocky Hill; and Sherwood Island Park, in Westport. A 19th-century whaling town re-creation can also be seen in Mystic. Visiting Connecticut's Greater New Haven Tourism District is like stepping into a vibrant pageant of historic treasures, marvellous architecture, bustling eateries, lively arts, sandy beaches and colour-splashed countryside. Hotels in New Haven, Connecticut. Most of the 169 towns and cities of Connecticut have a link from here. When you come to Connecticut, bring a good roadmap. The roads here are confusing and not always well marked. 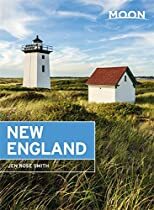 Connecticut Travel Guides - Connecticut Maps.